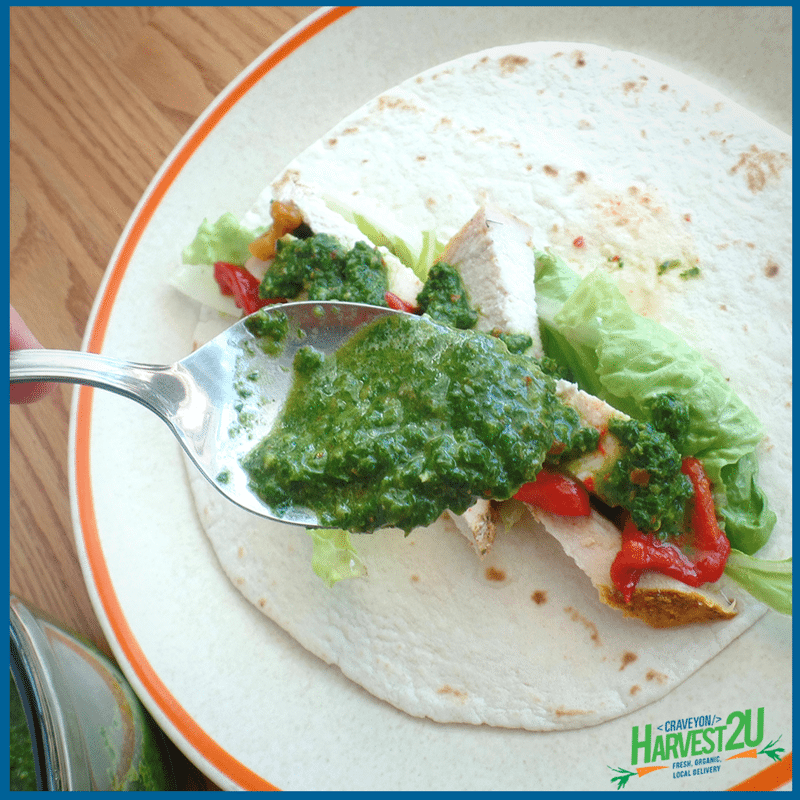 Chimichurri – Like You’ve Never Had! Chimichurri is an Argentine green sauce, similar to pesto. In Argentina, it is traditionally served with steak, but it is delicious on chicken, spread on sandwiches, mixed with some mayonnaise and yogurt as a salad dressing and so much more. In a small bowl, combine hot water, oregano, and salt. Let sit for 15 minutes to soften the oregano leaves. Second, In a food processor, pulse the garlic a few times to mince. Then, Add parsley, cilantro, and red pepper flakes chop the leaves with a few pulses. Next, Add oregano mixture and vinegar with another few pulses to combine. After transferring to a bowl, whisk in olive oil until it begins to emulsify. Finally, Cover with plastic and let sit for one hour before serving to allow flavors to develop.